For this year's anniversary, we decided to do something completely different--to stay close to home and splurge on a nice hotel rather than traveling somewhere far distant and staying in budget hostels or a rented room in somebody's home. A coworker had mentioned Pangkor Laut Resort to Angel some months ago. Finding out that the resort was an easy 3-hour drive from home and that that everyone who had been there seemed to recommend Pangkor Laut very highly, we were very intrigued. The 5-star experience really begins from the boat ride, or more accurately, from the lounge where you check in to the resort and await the beginning of your boat journey. We were a bit on the late side, as we'd gotten a little lost trying to find the jetty (make sure you have driving directions ahead of time! ), so I rushed in to the lounge while Angel parked the car, and was immediately greeted with a cool, perfumed towel to wash my hands with after the journey and a glass of sparkling juice. Whoa--what kind of world did I just step into? Check-in only took a few minutes, we handed over our passports so that they could confirm we had residents' visas and they took our luggage away, gave us a map of the resort, and said the boat would be leaving shortly. The day was a little bit stormy, and the water was choppy, so our boat ride was a bouncy one. Neither of us are in the least prone to seasickness, but those who are might want to be prepared before going out in the boat on a day when the sea is a little bit rough. When we arrived at the island's pier, we didn't even have to grab our own luggage, we were ushered straight to the reception and given more perfumed hand towels and more glasses of sparkling juice. The staff member who met with us to give us our resort briefing and tour upon check-in was Filipino and spoke some Spanish, and throughout the introduction to the resort, he was joking with Angel about the similarities between Filipino and Mexican culture and they were speaking Spanish part of the time. He gave us our portable wifi box and sat down with the resort map, circling the Sea Villa that we would be staying in. At that point, we both froze, and were utterly confused. "Sea Villa?" Angel asked, "But we didn't reserve a Sea Villa...I think we reserved a Hill Villa." Hill Villas were the most inexpensive tier of accommodation--we had both thought the Sea Villas, which stand on stilts over the water, were very cool, but this trip was already a splurge for us, so we'd gone ahead with reserving the most budget-friendly room. Our guide asked cheekily, "Oh, you don't want the Sea Villa?" and we were quick to assure him that we did, very much. The room upgrade was a very nice surprise, but the surprise wasn't over until we walked into our room. Normal check-in time was 3 p.m., it was about 1:30 by this time and they said our room was already prepared, so we went in right away. As he unlocked the door for us, the guide said, "Of course, I already know why you are here today," and we walked in to see a bed covered with dozens of rose petals and roses and a pillow that said "Happy Anniversary!" We'd made a note on our reservation that this was a trip for our 6th anniversary--but I was amazed and how far above and beyond they'd gone with that information! The wooden villa was beautiful in every way--it included a jacuzzi tub, a huge bathroom, a balcony, a plate of fruit, an elephant-shaped towel holding a rose...basically every cool thing you can think of. There are many add-on, payable activities and excursions possible at Pangkor Laut Resort. Being in character as budget travelers at a luxury resort, we opted to stick to all the no-added-charge things to do. Besides that, we were not staying long, so we didn't even have time enough to experience all the free things available during our 3 days. I think you would need a longer stay to even consider spa services or boat excursions. We were not short on things to do! Our favorite place to hang out was Emerald Bay. The water and setting was absolutely gorgeous--whenever we were here in the morning, the whole beach was completely deserted. Even when we spent the afternoon there, it never felt crowded, although there were several other guests enjoying sunbathing. The staff said that usually Emerald Bay is quite calm, but we were there on a relatively windy/stormy afternoon, and Angel loved the 2-3 foot waves. The beach staff had fins you could borrow (for free), and he tried a little body surfing. I, who usually abstain from all actual swimming, even got out into the bay over my head and got tumbled by quite a few waves as Angel tried to teach me how to swim with them and 'ride' them without a board. There were also swings and hammocks on the beach, which I loved very much. We also tackled the 2.4 km Jungle trail from Emerald Bay back the the area around the Spa Village. Given that it's currently rainy season, the trail was very muddy. Most of the trail wasn't difficult to traverse, but we started from the Emerald Bay side, and right at the beginning, we were faced with a very steep hill that we had to get over and then go down from. That part was tough, and I was very glad the whole trail wasn't that steep! We were very muddy by the end of the trail--we enjoy hiking and incorporate it into every vacation, but I was also glad that the resort has a shuttle service to take you to Emerald Bay by the road, because that hike makes getting to the beach much more arduous. We meant to visit the infinity pool and the fitness center as well, but spent so much time at Emerald Bay that we didn't manage to spend much time at either, although we did visit the fitness center, where Angel said, while looking at the treadmills, "Man, there's no tv for the treadmills..." The treadmills face large windows looking out over a pristine ocean. There's palm trees and flowers and you can see Pangkor Island across the water. I looked at Angel and said, "Seriously? A tv? I don't think these treadmills need a tv." On our last day, after we checked out of the room, it started to rain, which squashed my dreams of running around playing photographer, but we went to the TV lounge, which was completely empty, and watched a bit of Transformers (so Angel did get his TV after all) until it was time to head to our boat to leave. Being in Malaysia, I often say that nature never seems far away. This is very true at Pangkor Laut Resort. This hornbill was just chilling a few feet away from our table while we ate lunch on the first day. The waiter warned us not to leave our food if we still wanted it since the bird would probably try to grab a bite if we left the table. Fruit bats hung around in the trees during the day and fly around in the evening. The resort staff warned us to keep our villa locked at all times due to mischievous monkeys, but I actually didn't see a monkey the entire stay. We were also informed ahead of time that mosquitos can be a problem, especially in the evening or during cooler, rainy seasons, and came prepared with lemongrass repellent. Angel has always been very attractive to mosquitos and was bothered by them on the hike and in the evening. I came away with a couple bites on my legs but the mosquitos didn't seem to bother me nearly as much even though I wasn't nearly as copious with repellent as he was. I guess they're attracted to his personality. Our waiter informed us that under the Resident's Package, your meal includes any main dish along with either an appetizer or a dessert. This was a pleasant surprise, as Angel had been expecting that perhaps the meals 'included' in the package price were limited. We're the sort of people who, on vacation, split one entree for a meal or survive on snacks from 7/11, so eating two-course meals three times a day was a big difference (also, probably a good thing that we spent the rest of the time swimming and hiking or we might have come home with bigger bellies!) haha! At this first restaurant, I had chicken meatball and veggie soup and a quesadilla and Angel ordered a hamburger and chocolate ice cream. It was a very enjoyable start to our trip, to sit overlooking the pool and the ocean, and enjoy the cool breeze. For our first dinner, we made reservations at Feast Village. We are so not used to fancy restaurants at all, so I was in awe of the cloth napkins (and a waiter who puts in the napkin in your lap with a flourish) and the seaside seating. We both ordered sirloin steaks for our main dish, and I got the brownie arancia for dessert while Angel got ice cream. I'll be honest--the steak was not particularly good. I'm American, and we do steaks very well in America, which is one of the reasons why I haven't ordered a steak in 2.5 years because I know steaks are not really a strong point in this part of the world. It was still yummy and filling and I ate the whole thing with pleasure--it's just...I've had much better steaks on the other side of the globe. The brownie was absolutely the highlight of the meal for me, as it had a hint of orange flavor. My most favorite version of chocolate is dark chocolate with orange, so this is my idea of the most perfect brownie under heaven. This is the same restaurant where the resort's breakfast is served, buffet-style, and Angel and I were delighted with the amazing selection of foods--freshly made roti canai, omelets, and fruit juice. Bars for soup noodles and nasi lemak with all the toppings. There was also all manner of Western breakfast selections--yogurt with toppings, cereals, breads, waffles, pancakes, and pastries. This lunch restaurant faces Emerald Bay, and we ate here on our second day. Angel again opted for a burger and ice cream (predictable!) while I ordered a salad and beef curry with chapati--everything was perfectly delicious. I should mention, that the prices at all the restaurants at the resort seem very high--particularly to those of us used to delicious Malaysian food at very low prices in our hometown. Most of the entrees are in the $15-25 range each if we're talking USD, which I recognize is probably reasonable for a 5-star resort on a remote island--but is still pricey for us. If we hadn't been on the Resident's Package we probably would have gone the route of splitting entrees and bringing along snacks in our backpacks. As it was, with the package, we didn't worry about prices at all and just enjoyed the meals immensely. This is more of a traditional Chinese restaurant, where the dishes are served family style and accompanied with white rice. Under our package, we were surprised to find we could order 3 mains and 2 desserts--we got the Calamansi Chicken, Sizzling Beef, and Bok Choy with beef. All of them were absolutely delicious. Seafood is probably the much more popoular realm of dishes at this restaurant, as that's what it's famous for, but I don't eat seafood at all and I was very pleased that they had so many non-seafood options! For dessert, I got the banana fritter (a traditional dessert here, one that I have fond feelings for since my early teen years), and Angel got the mango pudding. We each thought our own dessert was delicious, although I don't like mangos at all and Angel does not like the idea of a fried banana. To each their own! This is a bit of a cheat, because we didn't really get to try The Straits restaurant--at least not their dinner meal. But when we were going to breakfast on the second day, the staff told us that they were opening up the Straits for seating during breakfast, and we were able to eat our meal in a cozy, private nook inside the very elegant restaurant. They had a breakfast bar set up inside the restaurant, but you could also walk back over to Feast Village to grab anything you wanted from the buffet. I was very happy that we got to try out this venue although not their menu in particular, the location was very nice! Absolutely fantastic. Granted, it's not like I have high expectations of customer service--but the fact that a resort can sell you on a package costing 900RM a night and make you feel like you got a good deal really says something about the experience they provide. It feels like the staff hardly let you do anything for yourself--they always open up the door of the shuttle for you to board or get off, they hand you an umbrella instead of making you walk 10 feet to go get one for yourself. I was carrying a bowl of soup to my table for breakfast, and a waiter came and carried it back to the table for me. Even the example of opening up The Straits restaurant for breakfast seating is an example of great service--this was Saturday morning at about 9 a.m., and the normal breakfast restaurant was busy, although by no means full. The resort could have squeezed everybody into the one restaurant, I did spot a number of open tables, but opening up the second restaurant gave guests a quieter and more special breakfast experience than we would have had if we were all seated in the one restaurant. A pretty awesome choice as far as customer service is concerned. 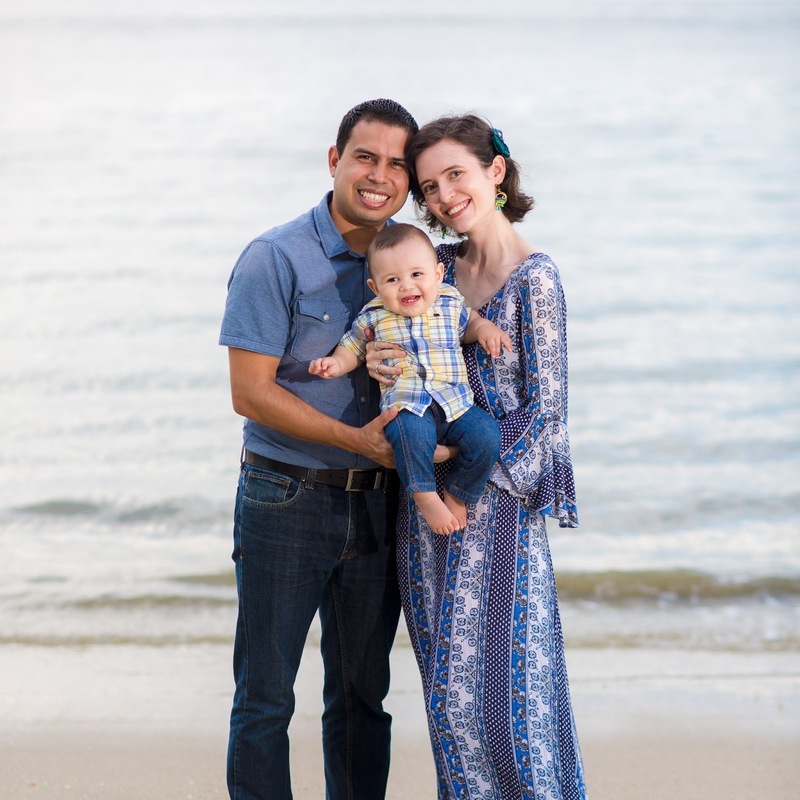 We felt like we could hardly say thank you enough for all the top-notch service we received. Budget travel is much more my comfort zone, but in spite of the price, I have no reservations whatsoever about recommending this resort to anyone. We had so much fun and made memories that we'll get to cherish for all the years to come! What a gorgeous resort with amazing views. The food shots were also incredible. Looks like a truly fun trip! Delightful wholesome experience! Yes, a luxury resort is supposed to provide all that but here you have a lot of extra thngs. I can kill to get to a place where the hornbills come to you. The rooms the view the beach the food everything seems to be stunning. What a wonderful trip!! That seems pretty reasonable for a five star resort with everything included! Everything looks amazing, it's fun to splurge every once and awhile! Oh I love getting a good deal, that sounds amazing especially with the upgrade. Did you travel off season? I have to say it all looks beautiful regardless. I am also incredibly nosy about what people eat so thanks for the details on that front! Is there anything about your experience that you'll want to take forwards into budget travel? What a trip! I'm so excited that y'all got to go and enjoy. It's good for the soul sometimes, isn't it? 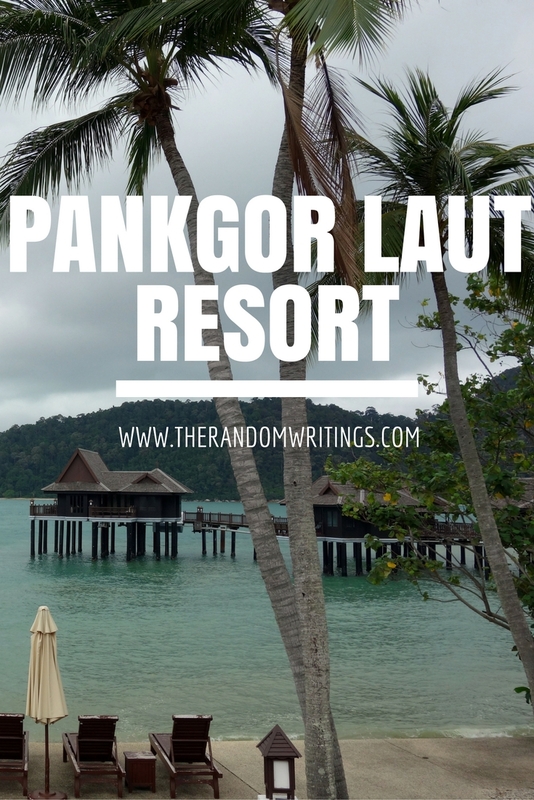 Pangkor Laut Resort looks a great place to spend some awesome time. The views are beautiful and the food delicious. Congrats on your anniversary! I love that this is what your "staying close to home" looks like! Ah! Also, happy anniversary! What a gorgeous and fun getaway! I'm so glad the two of you were able to go relax and just enjoy spending some time together, I hope it was more than refreshing! What an incredible place and an awesome upgrade! I can understand why you spent so much time at Emerald Bay! It looks like a beautiful place. :) Your video clip from there where you guys are the only two on the beach is awesome! And the flower pots with the fresh arrangements are so pretty! Wow! This looks amazing! So happy you were able to get away and enjoy your anniversary together. Was Angel swinging that stick while hiking to get rid of the mosquitos? We used to walk swinging our arms back and forth and side to side trying to get rid of them. I'm so glad you got to have a fun getaway. There is something to be said about sometimes splurging and just relaxing and having things taken care of for you. We don't do it all the time but every now and then it is nice. I'm usually a bargain traveler myself but after these photos I need to try the 5-star life! I'm so glad that you two had such a special anniversary trip! This looks amazing!!! As a fellow budget traveler, I would have the same reaction about the perfumed towels and sparkling juice. It sounds so magical and exciting. I think the elephant-shaped towel is adorable! These photos are lovely! It looks like you guys had a great anniversary trip! I think it is so smart when hotels/resorts offer deals to residents. I think I'd opt for this one too. Sounds like it was worth every penny and the food looked amazing. This review is very throughout and useful for someone who wants to visit. What a great experience and great idea! I never thought the way you did. Splurging in where we already live. I am planning our next trip and if it doesn't work out I'm going to do the same you did. Sometimes it's fun to splurge! We stayed at a fancy b&b in the Georgia mountains for our first anniversary. Our second was much more low-key, with a trip to the zoo the weekend before our anniversary and a nice home-cooked meal on the actual day. I've never stayed at a 5-star resort, but this looks tempting! You got a great deal!! When we lived in Chicago we often spent our anniversary in the city. I'm not one to want to spend a lot on lodging...though I think for our 10 year (2018) I want to splurge a little. These pictures are amazing! I hope you guys had the best time - what an amazing trip!!! This is so fabulous! We did the same thing last year when we decided to avoid a long trip and take a great vacation over on the coast in Savannah (also 3 hours away). I envy you right now. What a perfect place. Food, rooms, the sea villa concept itself, the fun activities...what is there not to like. I like the way they pampered you with that little flower decor and that towel art is cute! Looks like you guys had a great 6th anniversary. The resort looks beautiful and I really like the rooms on stilts. This looks like a relaxing place for a holiday since the staff cared for you so well. Ultimate luxury I will say! How I wish I too was pampered like this. Definitely worth the money spent there. Sounds like you guys had the best time. Perfect weekend getaway. The place is so perfect with sea villa concept. food looks delicious. It seems like you had a wonderful time at the resort and it was such a nice thing for them to upgrade your room and give you a water room. It's been one of my dreams to stay in such a place. The food looks great too, i love the abundance of fruits and vegetables. What a brilliant way to spend your anniversary. We do a lot. Ore budget travel than 5 star so I know that feeling you get when you are suddenly transported into another decedent world. This resort sounds wonderful and that food is making my mouth water! Thanks for linking up with the last #MondayEscapes of 2016! See you in 2017! Gosh this really does look like paradise! I'm not a fan of boats myself, but that is a fun way to start an adventure for sure. Also so glad you got upgraded, what a nice treat! Congratulations for your Anniversary! !Relaxing eye soothing views and ample of food pics tempted me to indulged in that luxury too. You guys really had an amazing experience. This is such a great way to celebrate anniversaries and other special occasions! No better bonding than bonding over travel. Also, he dishes at Uncle Lim's do look exciting! Wow, I loved the decoration on the bed on the occasion of the 6th anniversary. Very thoughtful of the management. And the elephant towel art was so cute.